We will be hosting a Biblical Counseling Course to help train lay people in our community. Teaching this series is Don Roy, a certified biblical counselor and fellow with the ACBC (Association of Certified Biblical Counselors.) 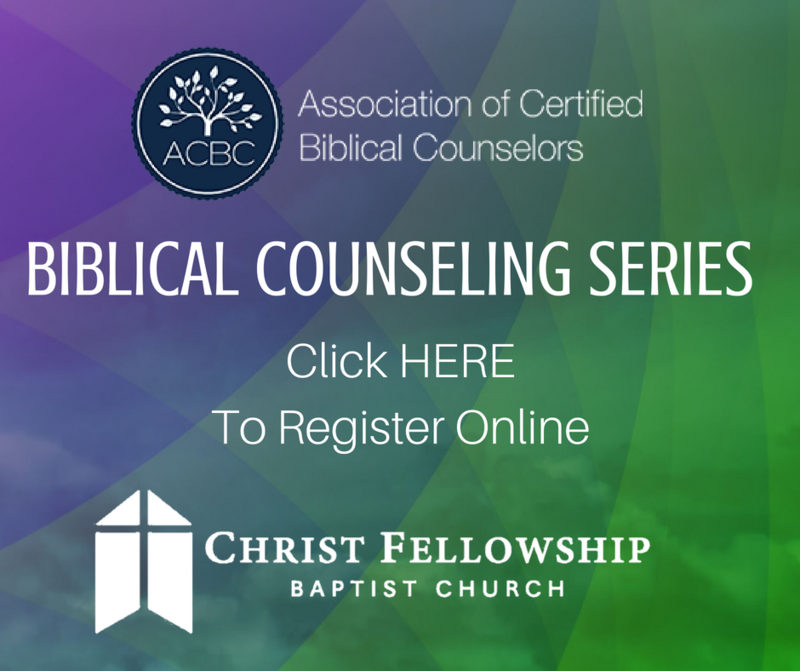 The purpose of this series is to train men and women to do biblical counseling in the Gulf Coast area, as well as prepares everyone for discipleship and using Scripture to minister to others within the church body. Click here to learn more!